Born in 1959 Jean-Michel Chesné studied agriculture, but preferred to be active in music, painting and writing about art brut/outsider art, contributing articles to magazines like Raw Vision, Gazogène and Zon´art ¹. 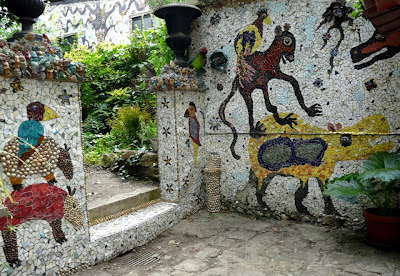 He became interested in outsider art in 1992 after a visit he paid to the famous art environment le Palais Idéal. 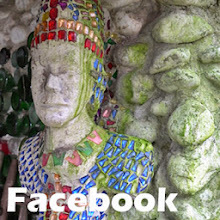 Inspired by this kind of creative activity, he decided in 1997 to construct a grotto in the garden behind his house in Malakoff, a Paris suburb. It took him two years to create the 4.5 m (15 ft) high construction made from wood and glassfibre and cover the walls with colorful mosaic. 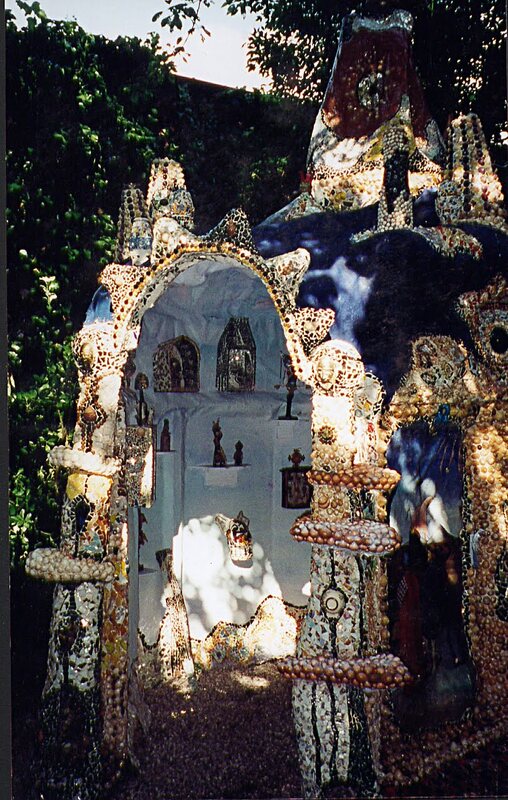 The grotto was completed in May 1999. 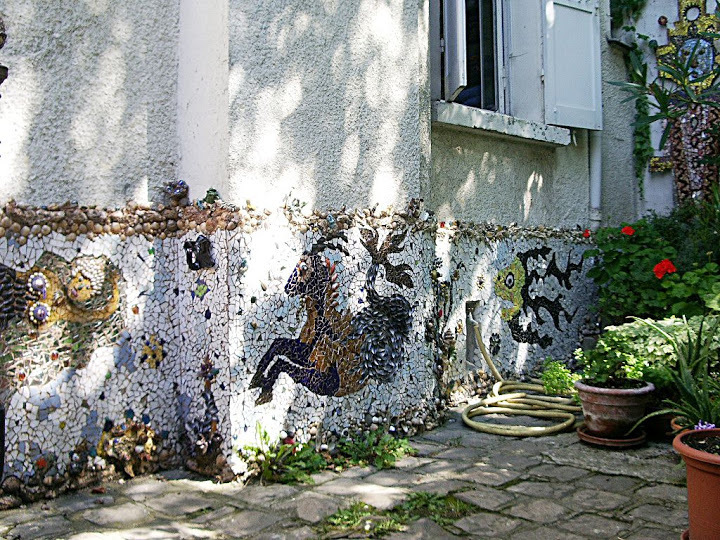 In later years Chesné expanded the site by decorating the walls of the garden with mosaics, an activity in progress for many years. After his visit to the Palais Idéal, Chesné began collecting picture postcards of art environments, especially those in France. Currently this collection probably is one of the largest in France. Parts of the collection have been exhibited, for example in October 2008 in the Halle Saint Pierre in Paris and in 2013 in Liège (expo Oh My God organized by MAD Musée in the Chapelle Saint-Roch). Apart from music and theater, Chesné currently is rather active as a painter. His work is regularly exhibited in french galeries (See Wikiwand for an overview). From july 2010 on, Chesné authors a weblog (in french). It has the story of the construction of the garden grotto and information about expositions, new publications and developments in the field of french outsider art. Occasionally the blog has postcards from Chesné's collection. In October 2015 it was announced that the local authorities of Malakoff considered an urban renewal plan, which might include demolition of Chesné's art environment. A petition asked the local authorities to change the plans and preserve the site. In september 2016 good news was reported: the plans were modified in such a way that the site would be respected. 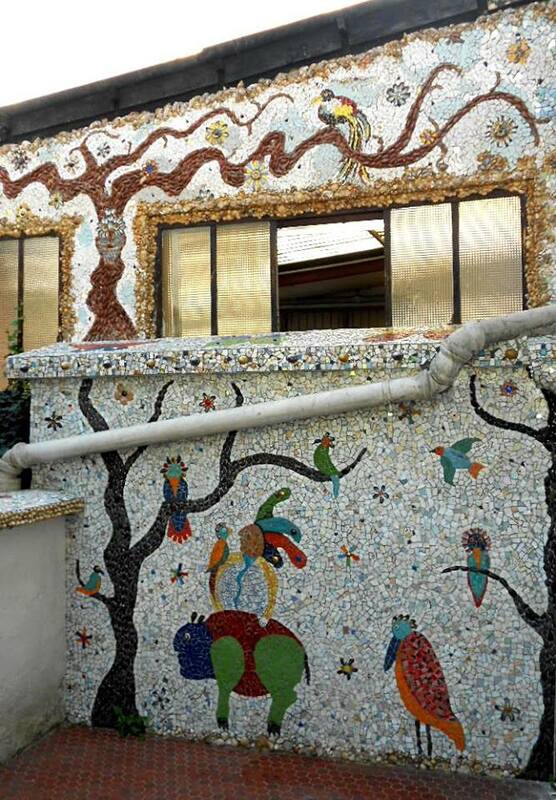 In 2016 Chesné started to expand the decorations of the garden, a project that lasted until September 2018. Sophie Lepetit's weblog has a series of pictures of the new decorations.